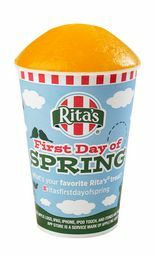 Rita's is celebrating the first day of Spring with a free Italian Ice on March 20th, 2013. Welcome Spring we have missed you!! Click the link below to go to their website to see the offer.